Vanilla is a rare spice from the Orchidaceous family. Its culture and its preparation require attentive and extensive care for a richly aromatic spice. It is especially appreciated for its taste and smells as much restoration as cosmetology. There are several varieties of vanilla. 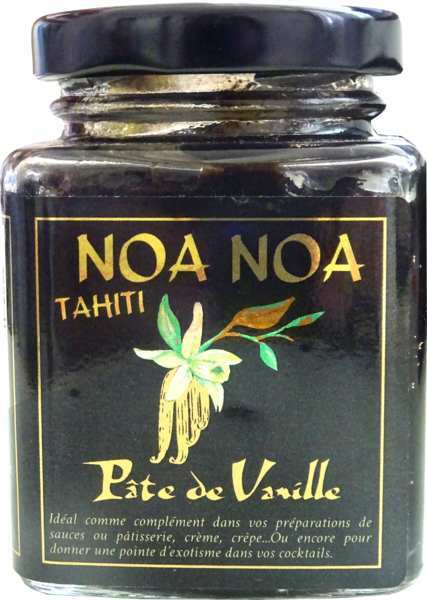 In Polynesia, the predominant variety is Vanilla Tahitensis, which is characterized by typical sweet notes of flowers and chocolate. The Tahitian vanilla is highly sought-after and is regarded as a luxurious, rare and expensive vanilla. It is mainly grown in the Society Islands : Raiatea, Tahaa (nicknamed: vanilla island) and Huahine. The vanilla pod remains two years on foot before being harvested. Then several begin meticulous operations which are spread over 4 to 6 months so that the pod take this beautiful brown color, emits its aroma and can be preserved. At the end of their refining, the pods are sorted; the length determines the value of vanilla. They are wide, wrinkled, bright, brown regular and non cracked.